Welcome to the EurILCA page for the European championships, Euro Masters circuit and Europa Cup Trophy. NEW: If you are logged in, you can do a one step application to the championships! Please login here with your World Sailing ID to complete your profile if your gender or shirt size was not provided in . 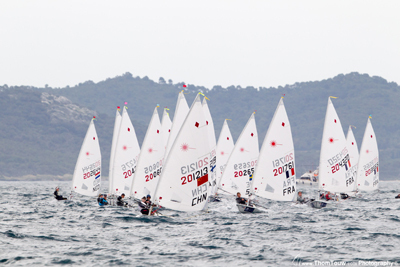 EurILCA is responsible for organizing the annual European Championships in Laser Standard, Laser Radial and Laser 4.7. To make sure that Laser European championships are of the highest sailing standard, EurILCA operates an entry system that requires sailors who would like to attend a European championship to first apply for a place. EurILCA works together with the national Laser class associations to make sure all sailors are class members and are able to sail in winds of up to 25 knots. For more information about how the entry system works for restricted entry allocated championships - from making an application through to entering the event - please click on the EurILCA European championships page and go to the minisite of the championship to enter on line.